PDP Services is a Dorgard Pro Approved Installer. The Dorguard Pro is a wireless solution which holds fire doors open, releasing them to close on the sound of the alarm, improving access and ensuring compliance with regulations. It is the perfect solution for environments such as schools. If you would like more information on the Dorguard Pro or any of the other Fireco products please call 01444 480444 or email fire@pdp.services. Our extensive range of fire detection and warning systems will ensure early detection of fire. An integral part in fire safety evacuations. Assist your business in clearly identifying escape routes. Training courses that are delivered on site at your convenience. 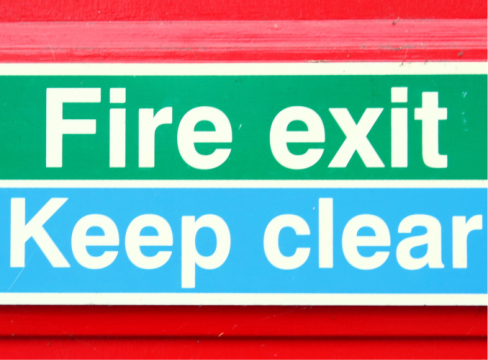 Legislation requires that the premises are equipped with appropriate fire-fighting equipment. Defined as a process for identifying fire hazards and determining the risks.